Microsoft has pushed out the Xbox SmartGlass app for Android, somewhat earlier than expected. 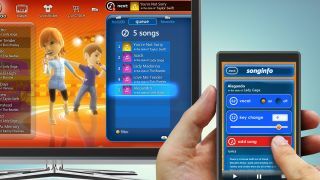 The second-screen application, which arrived on Windows RT on Friday, allows users to control features like Internet Explorer and Bing by typing and zooming on the handset, rather than the awkward gamepad. Users can navigate around the user interface with swipe and tap gestures and select from the vast arsenal of entertainment content now available to enjoy on the Xbox 360. The app also acts as a remote control, allowing users to play, pause, rewind and forward audio and video content, while it can also be used to track achievements, edit profiles and message Xbox Live friends. The timing of the launch is somewhat surprising as it had not been expected on Android until early 2013. Xbox SmartGlass will be a piece of the Windows Phone 8 operating system, which will not be available until early next month, so Android users get a head start over Microsoft's own mobile user-base. Microsoft also plans to launch the SmartGlass app for Apple's iOS platform, but that is yet to see the light of day.